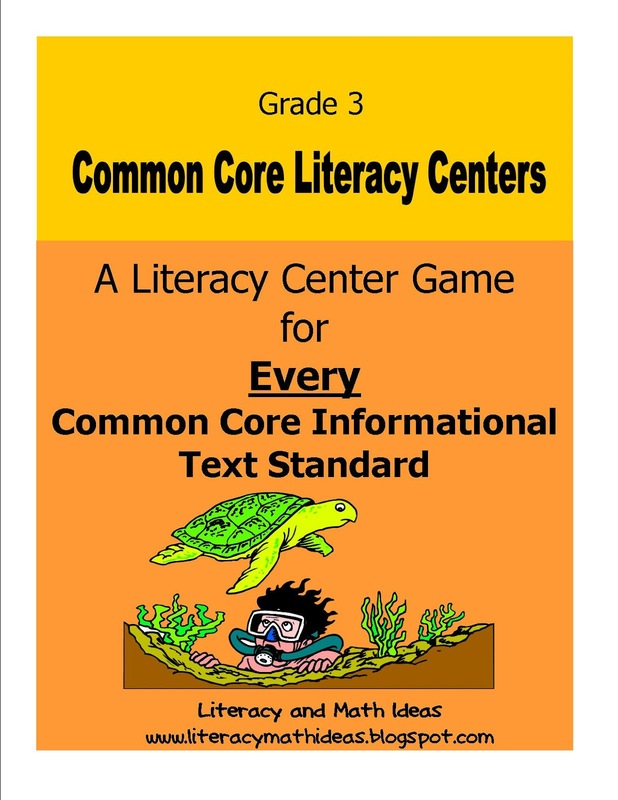 This 138-page document contains a Common Core Literacy Center game or activity for EVERY, YES EVERY, Grade 3 Common Core Informational Text Standard. 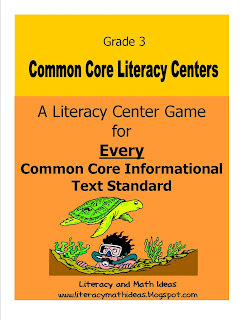 This document contains 12 literacy centers (one for each standard + two extra games). Answer keys are included! This document not only covers each informational text standard, the game cards included in the games also cover social studies, science, and health topics to help your students GAIN BACKGROUND KNOWLEDGE while they play the games. This is helpful because as they play the games over and over, they will actually gain tons of useful content area knowledge. Game card topics include rock layers, plants, animals, body systems, maps skills, economics, food chains, and more! Common Core Standard RI.3.5 Quick Go!